Hi! Thanks for visiting my website. Since February 2007 I’ve been maintaining this website and blog as a resource for doulas and other interested in the intersections between social justice and birth activism. The blog part of this project isn’t as active these days, so I wanted to point you in a few directions in case you came here looking for resources. You can read more about this project, and what I mean by “radical doula” here. You can learn more about me, my background, and my work here. If you’re looking for advice about how to become a doula, check out this page. If you’re looking for volunteer doula organizations, go here. If you’re looking for organizations that train doulas, here. 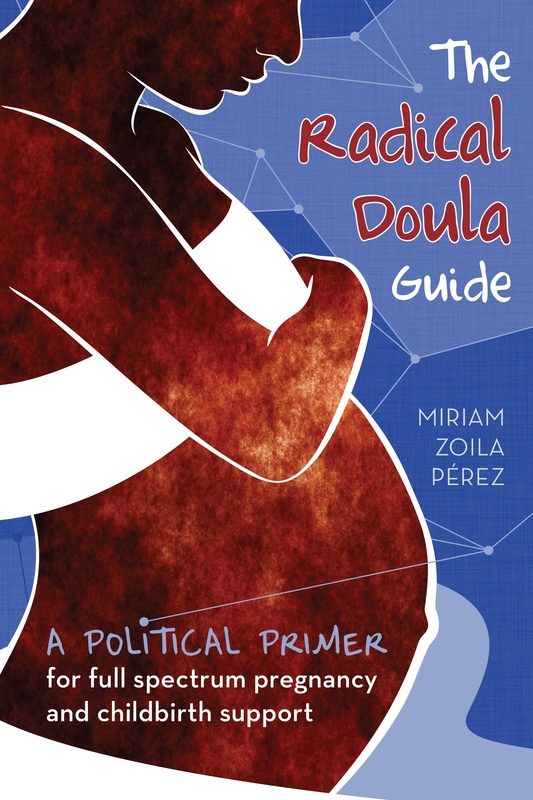 If you’re looking for info about the book I published, The Radical Doula Guide: A Political Primer for Full-Spectrum Pregnancy and Childbirth Support, go here. If you are here because you are looking for a doula, this post has some advice for your search. You can check out all of the fabulous self-identified radical doulas that I’ve profiled over the years here. And if you identify with the term radical doula and want to be profiled, just go fill out this questionnaire and I will publish your responses. If you’re looking to browse the blog, check out the sidebar (to the right, and down a bit) and click on any of the categories that interest you. I also maintain a facebook page where I post regularly with things that I’m writing, but also other doula and birth activism related links and articles. Go here to like that page. Lastly, I have a monthly email newsletter I send out, with links to what I’m writing and working on. You can sign up here. Thank you for visiting, and for supporting this project over the years! If you have any questions you can’t get answered on this site, you can email me. I spent years doing research at the intersection of gender/sexuality, families, and medicine, but I found the knowledge I was building and my capacity for supporting pregnant people was constrained by the demands of academic life and politics. I began seeking opportunities to connect directly with pregnant people and to make real, immediate, and tangible improvements to their birth experiences, which led me to birth work. My practice is focused on two main goals: to provide support to people who are marginalized along their reproductive pathways, and to impact the culture of birth and birth work towards a more affirming, radical direction. My work is grounded in an understanding of how power impacts every single area of our lives and, specifically, shapes our reproductive choices, experiences, and pathways. To question systems of marginalization like our current healthcare system, the medicalization of birth, and white heteropatriarchal control of birthing bodies is, to me, a radical act that deeply informs my birth work. I seek to honor and value how differences among people – especially those that create oppression – inform experiences of the body and reproduction in ways that are deeply impactful to the mind, body, and spirit. I believe that all pregnant people should have access to knowledge about their bodies and available choices, as well as the resources and support to act on that knowledge with confidence and autonomy. I believe that systems of oppression are fundamentally intertwined, and so my birth work emerges from a position of reproductive justice that values and affirms the locations and identities of all birthing people and their right to birth and parent with dignity. For me, this radiates out from individual birth experiences to the health and wellness of our communities and our connections with one another. Besides providing empowering and affirming support during a person’s reproductive experience, I am deeply invested in creating conversation around the wellbeing of pregnant people and normalizing healthy, empowered birth experiences. Seeing a fellow birth worker move towards gender-neutral terms around birth, watching an uncensored birth video or unscripted view of postpartum life, hearing open and honest dialogue about breastfeeding, etc. are all things that replenish me to keep doing this work!